Rock Festivals: Do I Even Have to Leave My Couch? 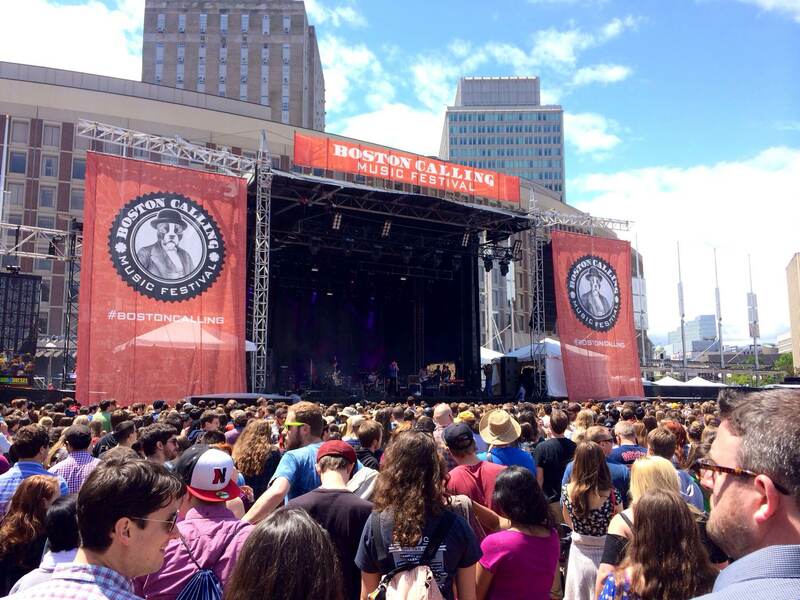 This weekend I left the comfort of my fluffy couch and trekked with a group of friends to the Boston Calling Festival in the heart of Beantown. 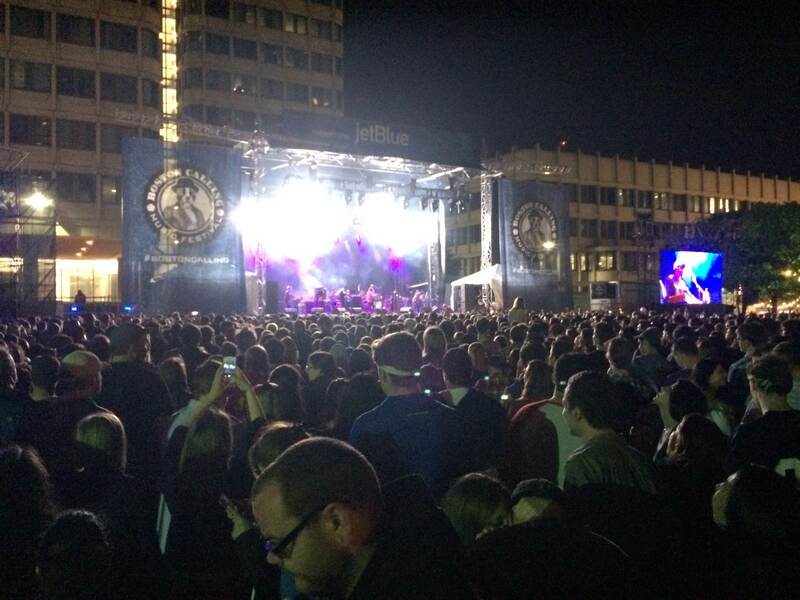 The festival has bloomed into a massive event in the three years since it started, mainly because of its unique location in City Hall Plaza and its ability to pull massive artists and infamous food options. 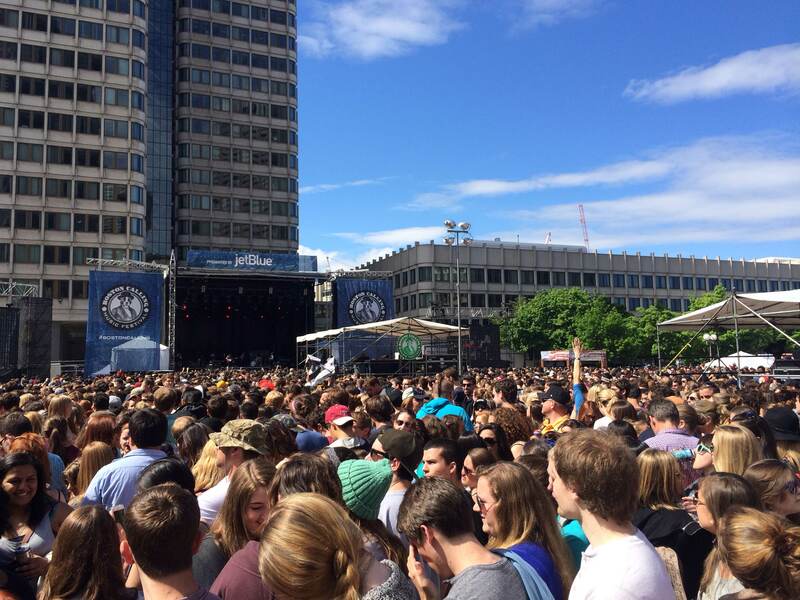 This year’s festival would be headlined by Jack Johnson, Death Cab for Cutie, and Modest Mouse, and would be catered by some of Boston’s legendary food vendors. It had been years since I had been to a real festival. But upon walking up the concrete steps and entering upon the red-brick of City Hall Plaza, I immediately noticed some of the staples I had been so used to seeing. You had the company reps handing out free granola samples and various swag. There were the free-spirited hippies spinning hula hoops around their waist and of course the four or five people who sported their trusty tie-dye tee and corduroy pants. Then there were the lines. There were lines for merch, lines for food, lines for beer, and lines to use the most-dreaded of all things- the festival porta-potty. Even with all the usual suspects, sights, and sounds of the modern music festival, one thing immediately caught my attention. There was one thing added to the equation. This “intruder” I speak of most likely sits within arm’s reach of you right now. You use it countless times a day, in fact some people rarely ever put it down. You may actually be staring at it right now, holding it tightly in your closed palm as you read this post. That’s right, I’m talking about the new staple of the modern rock concert- the smartphone. Everywhere I looked, there it was. Kids on the way into the show were presenting their tickets via online ticket app. 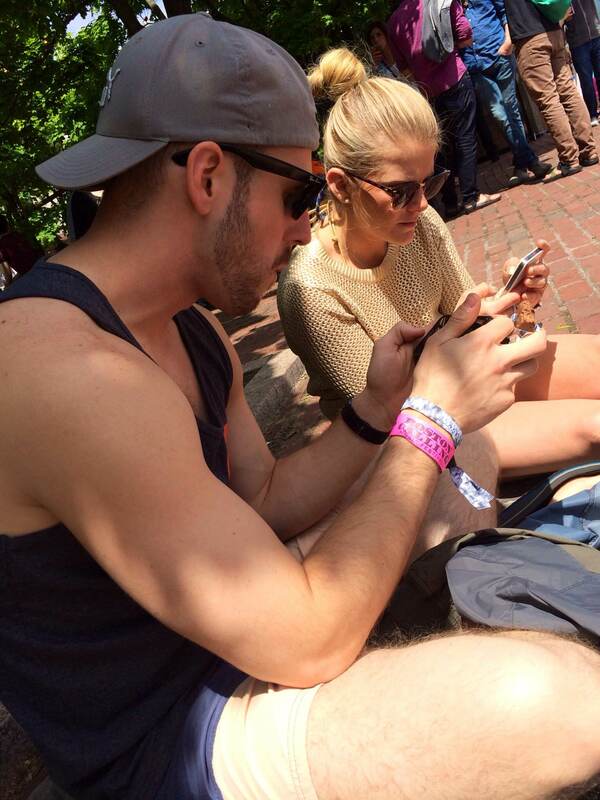 They were checking their account balances on the Bank of America app, watching for rain on the iPhone weather widget and scouring the concert lineup on the Boston Calling website. The effect of social media was even greater. A girl climbed up on her boyfriend’s shoulders not get a better view over the endless sea of people, but to take a selfie to immediately post on Instagram. 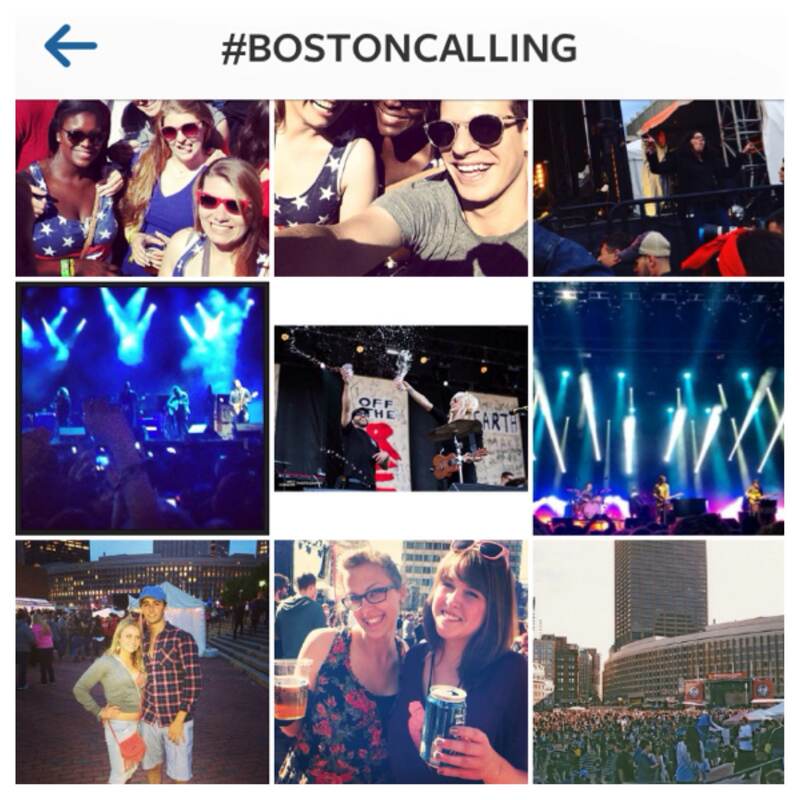 The #BostonCalling hashtag lit up Twitter with every minute festival detail being live-blogged through 140 characters. People checked in on Facebook and sent Snapchats to their friends of Roxy’s Grilled Cheeses and videos of The Neighbourhood performing “Afraid”. The impact of the smartphone and social media was impossible to ignore. With all of this technology- the live online video feed, the Instagram video, the endless pictures on Twitter and Facebook, I started to wonder if I really even had to leave my couch. Could I have just kicked back with feet up on my ottoman, grabbed a cold drink and watched a live feed of Modest Mouse on my MacBook? Since the advent of modern technology, so many have begun choosing to witness events from the comfort of their living room. Could I have saved the money spent on travel and the time waiting in lines? Could I have avoided the aggravation of being stuck in a torrential downpour amidst thousands of pesky concert-goers and just cheered on from my warm, dry sofa? Just as I started to truly ponder this, I was grabbed by a friend and herded in with a sea of other fans in front of a large and dimly-lit stage. A few minutes later, Brand New (a band I have worshipped since my high-school angst days but never got a chance to see) appeared on stage and proceeded to strum through one of the loudest, most passionate concert sets I have ever witnessed in my entire life. 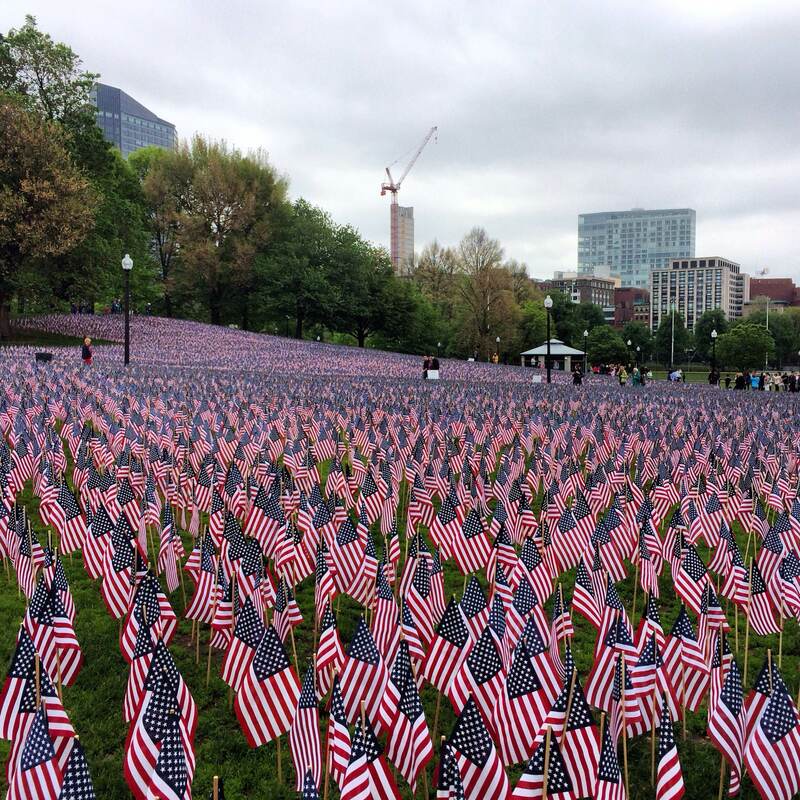 Every note seared directly into the heart of myself and everyone around me. Right at that moment, surrounded by 22,000 other ecstatic fans, I understood why I needed to be exactly where I was. Simply put- yes, you can experience a festival from the comfort of your couch. You can read about the acts, you can see pictures of the food on Instagram, and you can even watch the performance feeds on sponsored websites. But there’s one thing you cannot do. You cannot feel. No one can describe to you the feeling of the bass drum pulsating through your body during your favorite band’s explosive encore. You can watch a live feed, but you cannot feel the camaraderie of 20,000 Death Cab for Cutie fans swaying back-and-forth upon hearing the first few strings of “I Will Follow You into the Dark.” You cannot feel the cold sweat rolling off your favorite beverage as it battles tirelessly against the midday sun. You cannot taste the food, you cannot feel the breeze upon your face- you cannot be there, unless you are there. As someone who watches quite a bit of online media, I’m not putting down catching some cool stuff on your laptop or TV. But I also understand that this life is fleeting. The reward offered from getting off the couch and witnessing life first-hand is worth the extra effort or a little discomfort. You may forget things you have read, or things you have seen, but you’ll never forget the way things made you feel. A note from Life on a Couch founder, Shawny Nelson: Thanks Mike for your post. I agree completely. “Life on a couch” does not advocate more time on the couch–we advocate better time on the couch! There is certainly much more life to be had off the couch and out of the house. It is precisely the exhaustion from a good music festival, the soreness from a week at the lake, or the fatigue from a day out in the sun that makes flopping on the couch at the end of the day so appealing–so incomparable. We believe that the quality of our life on a couch is directly proportional to the quality of our life off the couch…so go, get out, attend, experience…run, jump, dance, laugh and live it up! That’s life on a couch. 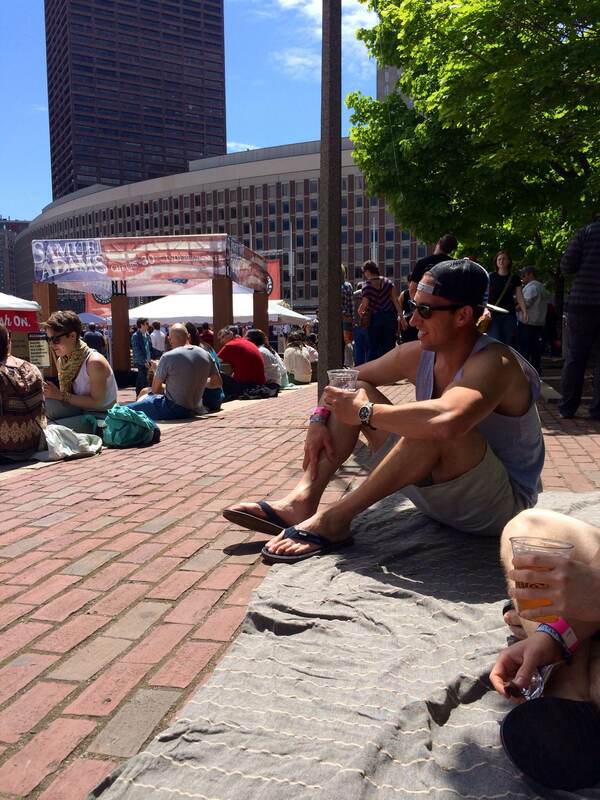 This entry was posted in Guest Contributor, Music & Art, Technology, Travel log and tagged boston, boston calling, Couch, couch life, facebook, festivals, food, instagram, Lovesac, music, rock, rock festivals, snapchat, social media, social networks, sofa, technology, twitter on May 29, 2014 by Shawn Nelson.